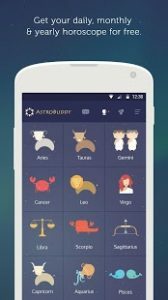 Astrobuddy is a personal 1 to 1 chat based astrology service derived from your birth chart or Kundli. Rather than being pigeon holed into just 1 of 12 star signs, you can achieve a more precise and unique astrology reading by entering your time, date and place of birth. Ask questions and get detailed personalised answers on any subject whether its relationships, finance, career or health. Which sign is my perfect match ? Will I get married this year ? Will my finances improve this year? Which sign am I compatible with? How compatible am I with this person? We hope you enjoy our service and look forward to hearing from you. The app is quite good n work in real time application n try to tell the truth one can must try but these r indications which motivates us to put effort s in right direction and work in a consolidated way and buddies r very friendly n geniune….. This is a very helful app. All astrobuddies are very straight forward and to the point . Love it.